It is quite easy to get into the bikes online shop and get lost in the available choices. Remember the sheer of owning and riding the first bike. The best toddler bike is perfect for getting kids outside, getting them fit, gives them independence, and offers them riding fun. You need to know that toddlers can start riding bikes comfortably as from three years. However, kids do not stay at the same size for a very long time. This is a fact of life that everybody knows. For that reason, choosing the right size is very confusing and vital, but it is good for riding the bike with confidence and safely. When choosing a bike for your toddler, crucial things you need to ensure are comfort and look of the child, and if it is cool. Do not buy a bike that the kid does not like with the hope that they will change their mind after getting home. Kids have so much when it comes to the quality of bikes. There is a bike for every kid from toddlers to teenagers. What size does the kid require? While choosing bikes for grownups, you will use the frame as the point of reference. However, when it comes to children, you will use the wheel’s diameter as the point of reference. The reason behind this is that the size of the wheel determines the proportion of the bike. The common sizes on this section are twelve, sixteen, twenty, and twenty-four inches. The twelve inch is a bike designed for kids with close to five years, and by the time you get to fourteen years, you will be going for the twenty-four inch wheel. The golden rule for choosing the right bike for your kid is using the sizing chart. Sizing is available all over the internet and stores. The variations are very slight variations for adult bikes but children sizing is quite consistent. Do not just use the height of the kid as the main determinant factor for purchasing the bike. Just think of it as a starting point to get an idea of what you want. If the seller is insisting on using the height alone, go to another store. The most crucial thing is testing it and observing how the child can ride and control it well. You need to factor the body size of the kid and his personal riding disposition. Why should you get the right fit? Despite the reviews you may get everywhere, choosing the right size of the bike is not rocket science. Charts and guides are vital but not as useful as watching the child test the bike. It has to fit the child and not the child to fit the bike. Safety is key. This is reason enough for purchasing a bike that is very large thinking they grow in it. The child has to straddle with feet on the ground with two clearance inches. Kids have to be seated in the upright position while riding, and their legs and knees should not bounce on handlebars. Legs should not completely stretch out at low vertical positions on the pedals. A slight bend in the legs need to be there always. They should turn handlebars in the sweeping motion without overstretching. Young children use the turning arc on the handlebars to steer as compared to adults that use balance while negotiating corners and turns. The younger the kids starts riding the more confident they will get when they grow. The best place for kids starting their riding is with the balance bike. These bikes do not have paddles and have only one brake. They are perfect for letting the kid develop inertia, balance, and learn steering. They are safe for application indoors and are the best for safe learning. They come in twelve, fourteen, and sixteen inch wheels. Some come with simple gear sets and a fork suspension in-front. These additions may make it more expensive and weight additional on the kid. Fit is the most crucial factor. Ensure that the feet of the kids are touching the ground and hands are reaching the handlebars and brakes. They will go faster as the feet are on paddles and not trailing the ground for stability. Make sure you purchase the right size. This is the point where you experience proper suspension and real gears. Most of the geared versions are between five and ten gears with climbing the hill being given a fore thought. It helps children know the functionality of gears. Fully rigid bikes will be lighter and of higher quality as compared to mountain bikes. When your kid wants a bike with forks, opt for one with the lightest frame. The suspension and gears in the above context is similar to this size. In this section, you will find all the whistles and bells common in adult bikes. The best toddler bike in this section comes with as many as thirty-six gears and triple chain sets. These additions are very complicated and add more weight but are not worth the additional money at this point. Allow the kid to be young for a little longer or try limiting them to a low or single digit gearing. 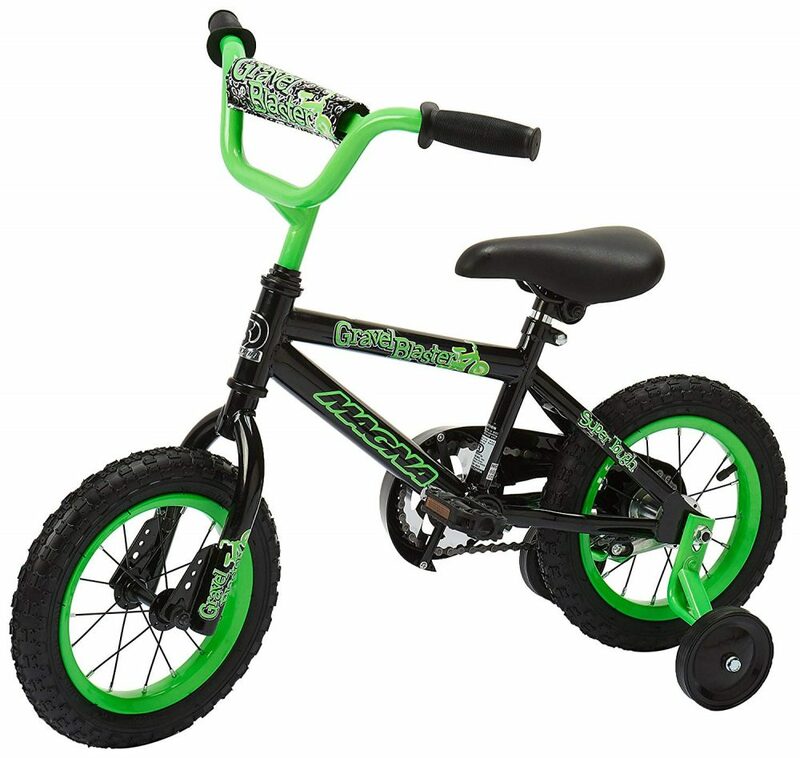 Most toddler bikes up to twenty-four inches come in mountain bike style with grippy, wide tires, and horizontal sidebars. The best advice is sticking to the mountain bike style until when the kid becomes a grownup. They should keep riding on the road and avoid going off-road. Hate it or love it, the mountain bike is the best option after giving it a try. Many parents do not wish to overspend on the bike of the child as he will overgrow after a few years. Experts say that it is better to purchase a pricier bike from local stores in the place of going for a cheap bike in a big store. The reason behind this is that bikes from the store are durable, easy to control, and lighter. These are the things which make the difference between bikes fostering the love for riding bicycles and the one that sits in the garage. You can even sell the bike to someone else after he/she moves on to the next stage. 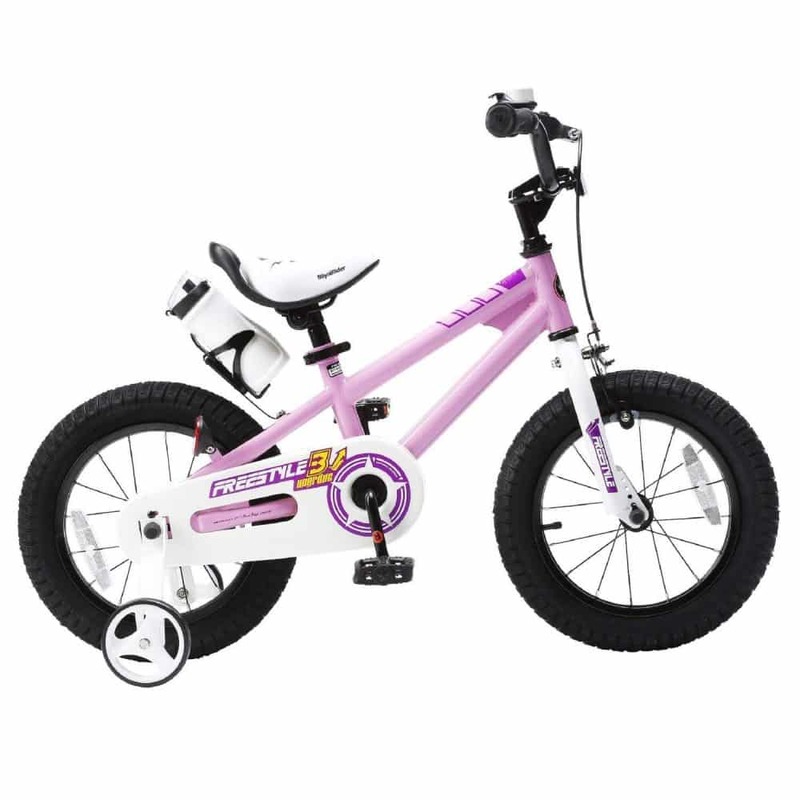 Encourage the child to ride with this bike as it is among the best toddler bikes in the market. While learning riding, you need to allow the child to feel the leaning experience and effects of steering balance for the bike. If the child learns riding minus leaning, like on the bike or tricycle with training wheels, then he is not learning anything at all. With the assistance of the balance bike, the child will learn balancing and ride the bike in a very simple manner. Through many years of development and improvement, this bike has brought forth a product that allows for easy transition to the pedal bike for kids. 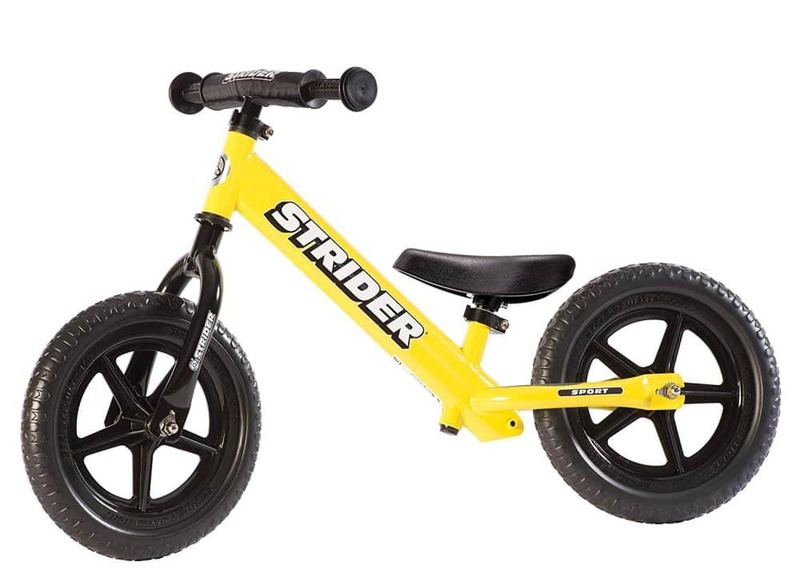 In the bike industry, the strider has the lowest seat for children to jump on it and get moving immediately after setting up the bike. This bike inspires children to ride. This bike is lightweight, all-terrain, and efficient bikes the develop confidence, coordination, and two-wheeled balance. The purpose of this bike is learning to ride bikes. It allows the children to learn riding without the pedaling complexity. After mastering the skills, transition to the pedal bike becomes easy. The stride bike comesequipped with a handlebar and padded seat padded for providing additional comfort and safety for riding the whole day. Helps you master skills of riding and makes it easy to transition to the pedal bike. The handlebar and seat heights are adjustable to accommodate all kids of eighteen months to five tears. Lacking pedals is not a big deal. With this bike, you will say goodbye to skinned knees and training wheels. They bear the design without pedals to allow the rider to develop balance before the introduction of pedaling, making the transition seamless. The only hard part with this bike is balance but pedaling is very easy. All you need to do is to sit, glide, walk, balance, Kazam! There is minimal required assembly because tools are included. KAZAM bike is a better alternative to training wheels so that you focus on learning to balance the bike. With this bike, kids will learn at their speed minus having the fear of falling. 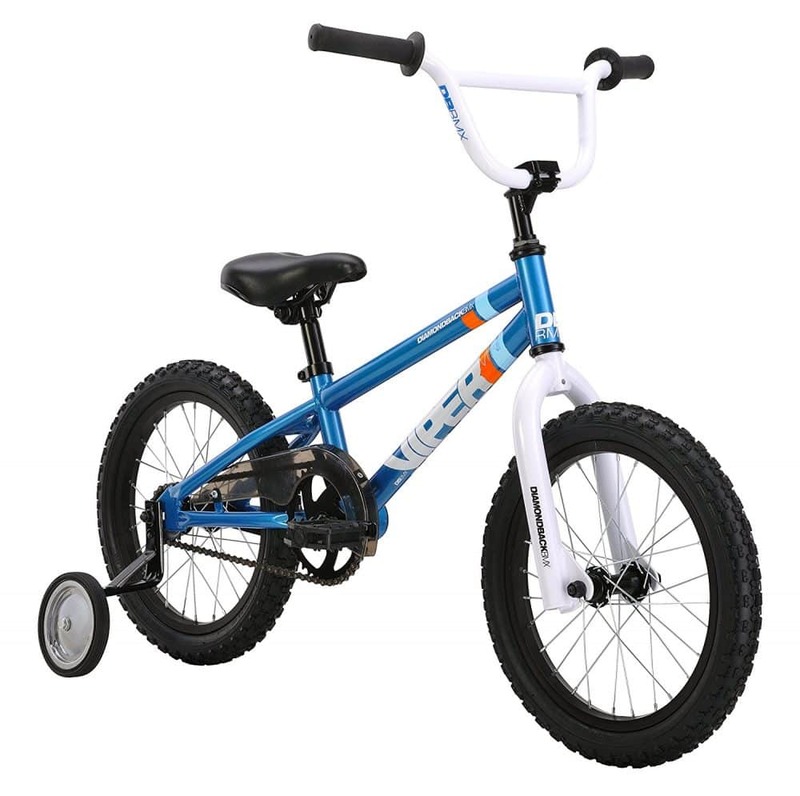 Children will develop proper steering and balance with this bike and at the same time build independence and confidence. It comes with a classic frame design with a footrest and puncture-free, maintenance-free tires. This model is good for both outdoor and indoor use. This bike is lightweight to make it easy for young riders to maneuver. The positioning of this bike puts the rider at the center of gravity and helps in the development of natural balance to make it easy to transition onto the pedaled bike. This bike makes preparing for the pedal bike quite easy and cool. This bike comes complete with bold colors and handlebar pad. The frame is sturdy and decorated to look good for the kid. Others have a chain guard, foot brake, and adjustable seat for riding comfort. This bike comes with removable wheels for toddlers. This bike has a low height for seamless dismounting and mounting and has a purposeful design for steering geometry to guarantee stability. It has lightweight balloon tires that offer rolling performance, a lot of grip-schrader, and great damping. The tires offer optimal levels of the grip in corners. It has a coaster brake and two handbrakes. The hand-braking concept is easy as it is easy to identify the rear-hand brake by its green color. The color will help you avoid getting confused by the left and right hand brake. 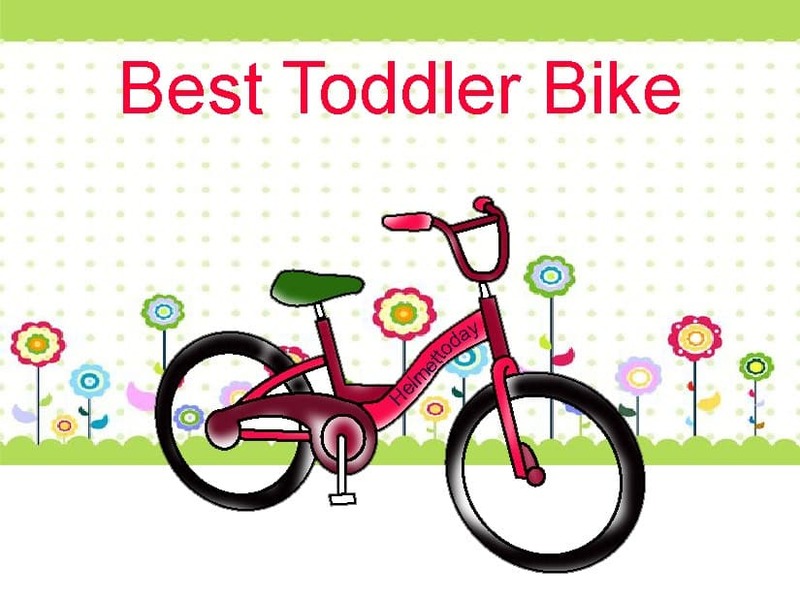 This is the best toddler bike that is safe, lightweight, and designed for children. Comes with all the required tools so that assembly is hassle free after receiving it. The mini viper gets newbies up and spinning until when the day ends. Training wheels help making them remain upright while mastering pedaling and balancing basics. The brakes provide ample power for stopping and are intuitive and easy to use. The chain guard keeps the clothing and skin far from harm. As kids continue growing, the stem and seatpost can undergo resting to fit when ready to get to a bigger bike. You can pass this bike to the next kid because it comes with beefy tires, durable wheels, and a steel fork and frame. 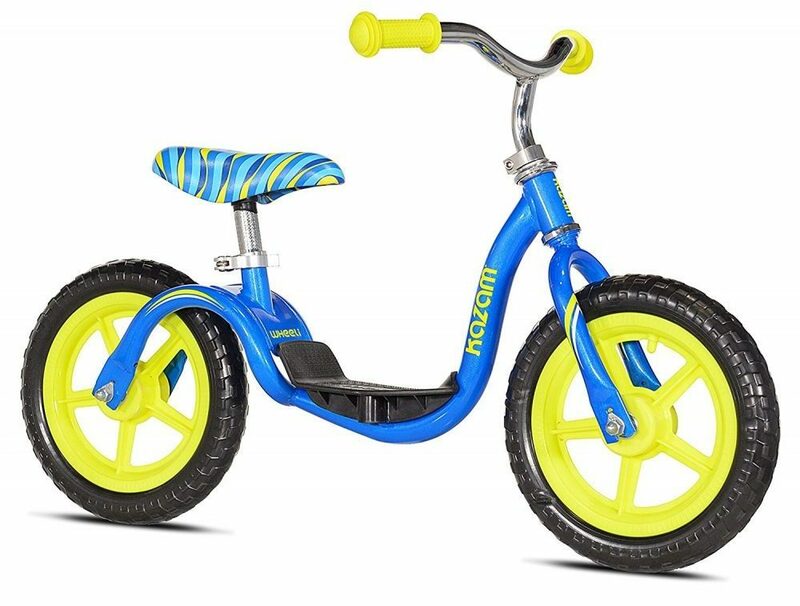 This is the best toddler bike for kids with three to six years. This bike is hand built and ready for riding in several steps. This bike eliminates the hassle of home bike assembly that requires so much time. You will just insert the pedals, front wheel, and seat and you will be ready to start riding. You can remove the adjustable wheels when kids continue gaining confidence. The construction of this bike is done with high-tensile steel that makes it long lasting, strong, and good. It is made of a heavy duty material. 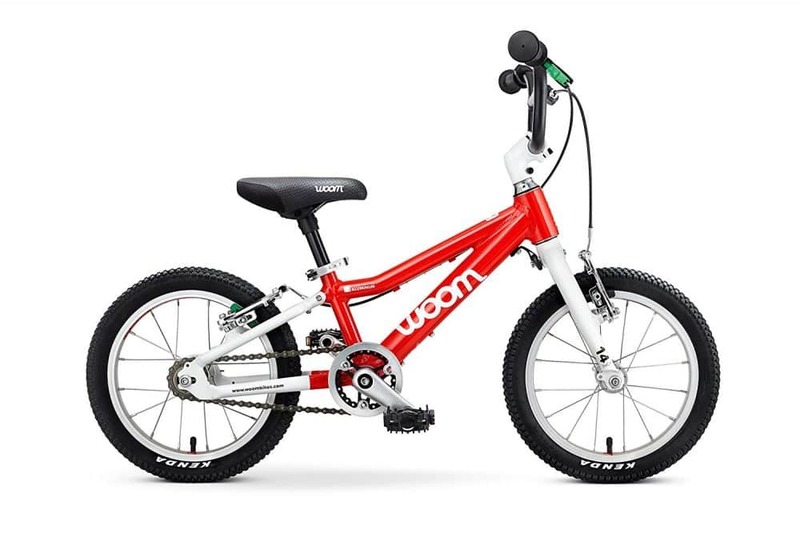 This bike is sporty for both girls and boys with a water bottle, quick release seatpost, and a bell that make it easy for adjusting the seat height. It is easy to put this bike together leaving you the task of installing the saddle, handlebar, and pedals. The assembly tools are included and features a high back and cushioned seat. It features a one-piece crank, sturdy steel frame, full chain steel wheels and guard, ball bearing drive shaft, and pneumatic wide knobby tires with a royal baby tread. Combining the rear coaster brake and front caliper brake provides a lot of options for learning. The package comes with a bell, water bottle, cage, assembly tools, training wheels, and a kickstand. This bike offers you a smooth transition to the world of pedal bikes. Toddlers will learn this process in an intuitive and quick way; pedal, put feet down, keep the balance, and then brake safely. You can use this bike to create lasting memories. It has beginner-friendly geometry for the kids. and it bears the design of making the kid ride the bike. It is perfect for kids of between three to five years. This bike has optimized weight and high-quality frames that offer it a long wheelbase for supporting low center of gravity and directional stability for balancing. 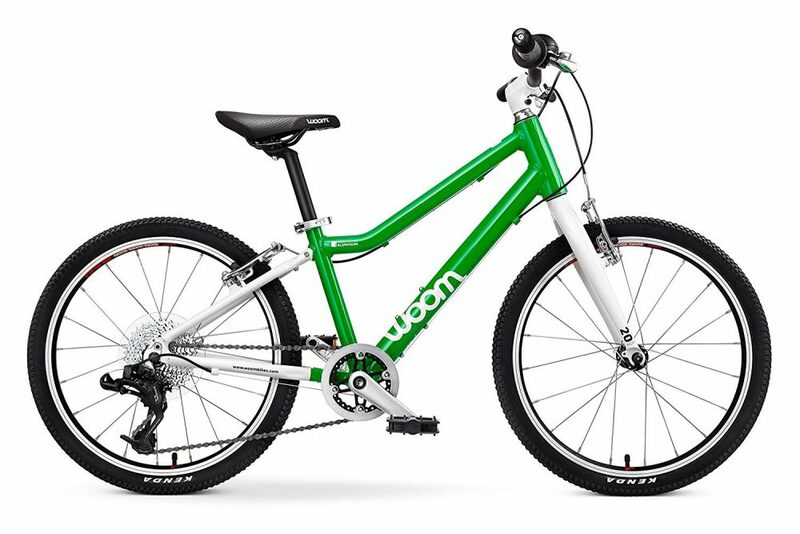 The bike has low step-in height for easy dismounting and mounting and the steering geometry and purposeful design guarantees stability. It has light-weight balloon tires for rolling performance and great damping, and shrader valves offers lot of grip to inflate with ease. This bike is perfect for city, mountain, and road riding. Tires provide maximum grip levels on straight ways and corners. This bike has a foot brake and two hand brakes. The concept of using hand brakes is also easy. The proprietary brake lever bears the design of fitting very small hands and even a hand with minimal strength can hold it. The width and length of the cranks of woom bear the design of matching a child’s ergonomics. It has optimal gearing ratio for all uses and riding styles. You must ship the best toddler bike with a foot brake. It is a high quality bike, safe, lightweight, and designed just for the kids. Rear and front plus the foot brakes bear the design for serving children.